February 5th, 2016. 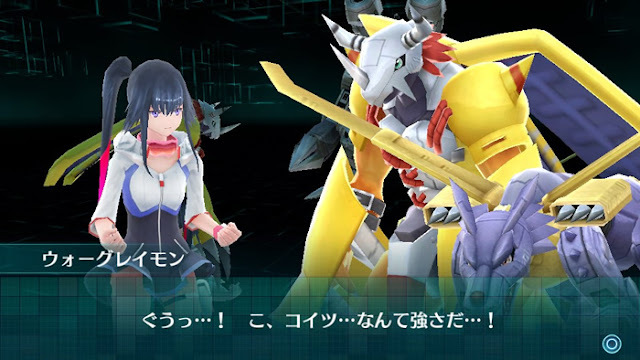 The official Digimon World -next 0rder- title site updated today with a new batch of screenshots, showing protagonists Shiki and Takuto traveling alongside various characters within the game, including the mystery character resembling the first World protagonist who narrated the most recent trailer. The screenshots also show Jijimon bringing Shiki to the Digital World, uttering a line similar to some of his first from the original game. 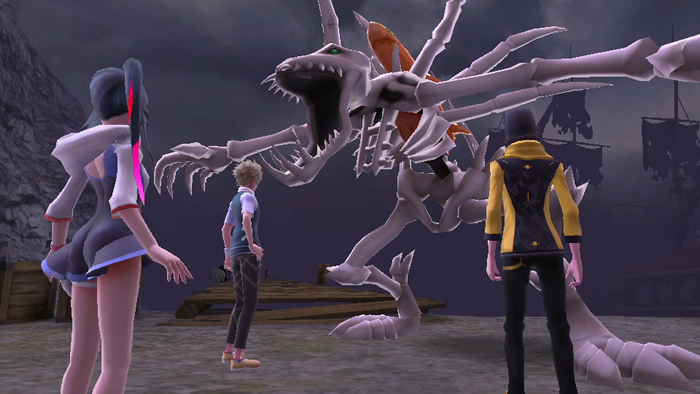 The previous batch of screenshots showed off several classic techs from the original Digimon World, including Buster Dive and Wind Cutter. War Greymon: "Guu...! Th-this enemy...What power...!" Jijimon: "Ah, it's a success!" 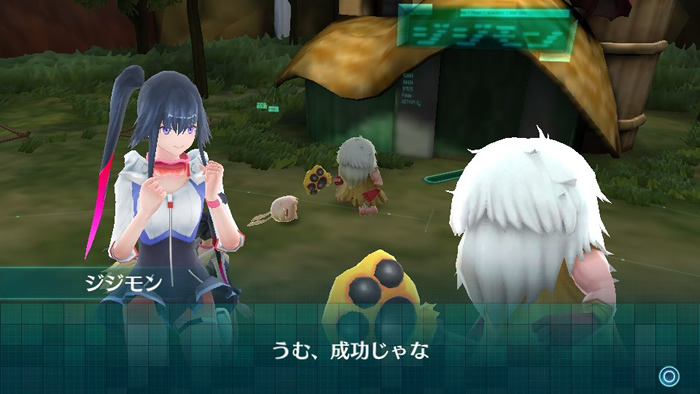 see.. this is what im afraid off they go for open world for "vita" might limit potential of "digimon world"
These are low resolution screenshots. I'm pretty sure the textures will be fine. Not to mention this is on a different operating system, and different models then re:digitize, so of course they aren't going to look familiar. Nothing new except for that amazing SkullGreymon. 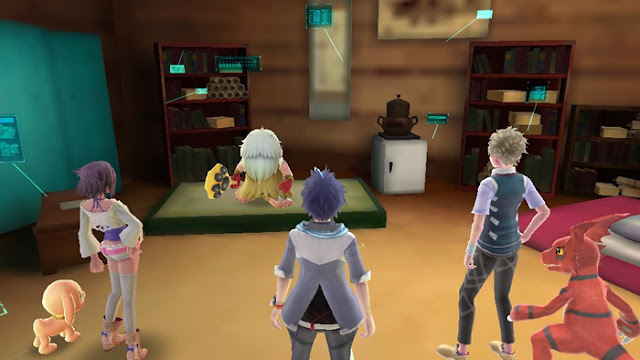 I wanted to see more about the roaster in the game (I hope we have at least the Cyber Sleuth roaster in Next Order) and the maps of the Digital World. By the way, the page of Digimon Linkz has been updated, do you know something about this info?